September signals the arrival of new crop apples, which translates to palate exciting flavor, good nutrition, and great variety to choose from. This season we plan on expanding our offering of apples that many of you have never tasted. 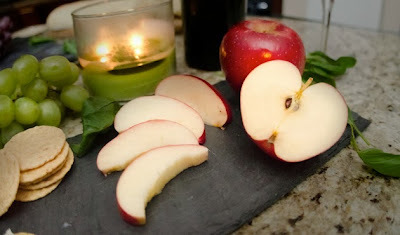 This week we are showcasing the SweeTango apple. Apple lovers rave about the taste of SweeTango. Crisp citrus notes and a lively touch of spice complement a sweet honey finish. With your first bite of the SweeTango you'll be hearing with your mouth, or tasting music. The SweeTango is a combination of perfect flavor and crunch. In this weeks ad we have two gate folds titled Fall Harvest Of Deals so be sure and check these offerings. Also, we will be receiving a shipment of beautiful Fall Mums just in time for the season. You can see our complete ad through the link at the top of the sidebar.